Get a great pay monthly deal on the Virgin Mobile Network, all the latest handsets at low prices. Want fast mobile data speeds and great value phone plans from one of the UK's most famous brands? Then check out the selection of deals available on TigerMobiles.com from Virgin Mobile. Super fast 4G mobile data, a wide range of calling plans to fit everyone's needs, great incentive phone options as well as SIM Only plans, what more could you want? To get started use our simple comparison tool below to find the best deals from Virgin Mobile! 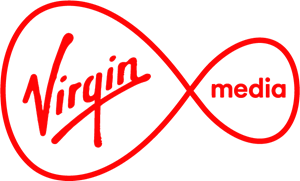 Founded in 1999 by Virgin Media, Virgin Mobile was the first UK MVNO. This means that the company rents infrastructure from other mobile operators rather than using their own, cutting costs and allowing them to offer low-cost plans. Virgin Mobile is now one of the most recognised names on the UK mobile market, and the fact that they use EE's super fast 4G mobile data infrastructure means they offer great mobile data plans too. Because Virgin Mobile uses EE's infrastructure to provide service, Virgin's customers get many of the same advantages as those of EE. EE is the largest operator in the UK with 95% coverage, and their 4G network gets mobile data speeds that are the fastest in the country. However, as a Virgin Mobile customer, you can profit not only from this but also from lower prices and a wide selection of plans. Virgin Mobile offers plans for everyone, from traditional 24 or 36-month contracts with phones, to SIM Only plans, Pay as You Go and everything in between. All you need to do is find the plan that's right for you, and given the wide variety of options, there's sure to be something! The operator also offers plenty of phones to choose from should you decide to go for an incentive phone contract. From top end new releases like the new iPhone to more budget-friendly options, you'll find all the biggest mobile manufacturer brands with Virgin Mobile. There are tons of special offers too. With Virgin Mobile you can roll over any unused data to the next month, you can get free gifts and accessories like VR headsets and tablets, and you get access to over 2 million public WiFi spots to help you save on that data bill! Want an operator that gives you plenty of choices when it comes to plans and phones, as well as one that gives you lots of special deals and super fast mobile data speeds? Virgin Mobile could be the answer to all your prayers. All you need to do is check out our comparison tool to find the best deal for you from Virgin Mobile!